Superyacht ILLUSION PLUS, Asia’s largest superyacht at 88.5-meters built by Pride Mega Yachts, was launched in Yantai, China coated with a Sea Hawk Antifouling System. Today Sea Hawk, the world's leading premium nautical coating brand, announced superyacht ILLUSION PLUS, Asia’s largest superyacht at 88.5-meters built by Pride Mega Yachts, was launched in Yantai, China coated with a Sea Hawk Antifouling System consisting of TUFF STUFF high-build epoxy primer combined with Cukote antifouling paint. Pride Mega Yachts are world-class expert yacht manufacturers with a reputation for employing only the most advanced technologies to construct luxury yachts that are next to none in quality, which includes premium hull coatings from Sea Hawk Paints to ensure extreme hull protection in the harshest environments. Delivering the maximum antifouling protection available in fresh, brackish and salt water, Cukote employs Sea Hawk proprietary PL3 technology for controlled release antifouling properties over multiple sailing seasons and is Lloyd’s Register certified, a testament of Sea Hawk’s premium quality. “After using Sea Hawk systems on several projects in the United States we were happy to apply it on our 88-meter Superyacht project here in China. Our local painters easily applied the Tuff Stuff primer and Cukote antifouling by airless spray with excellent results,” said Michael Turk, Paint and Exterior Outfitting Manager, CIMC Pride Mega Yachts Yantai, China. “As a family company, we’ve worked hard over the past three decades to produce the finest antifouling systems in the world,” said Erik Norrie, Sea Hawk’s CEO. 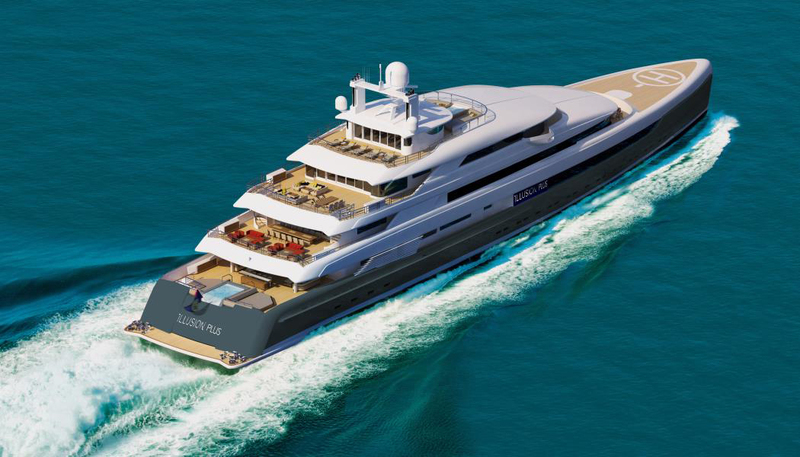 To be part of a next-generation superyacht like ILLUSION PLUS that symbolizes the pinnacle of luxury mega yachts is really something special,” Norrie added. The ILLUSION PLUS yacht project defines the superyacht of the future, featuring a unique innovative design, which illustrates ambitious craftsmanship. Her impressive architectural design, drawn up by Azure Naval, provides immense deck spaces, perfectly furnished to ensure maximum comfort. Her floor-to-ceiling windows invite a maximum amount of natural light, accentuating her spacious open interior layout and is propelled by Rolls Royce diesel-electric propulsion engines. 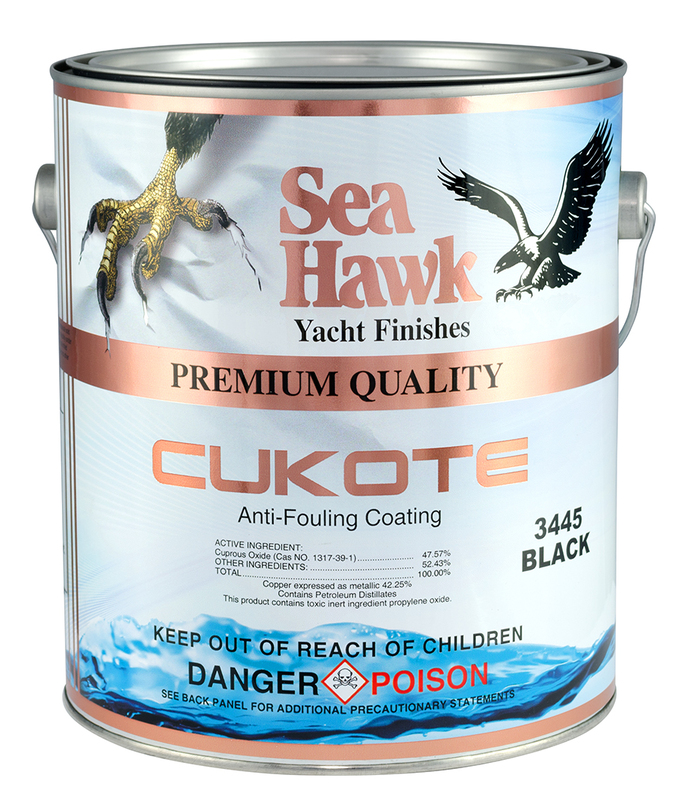 Sea Hawk Paints’ Cukote is a antifouling paint that delivers exceptional, long-lasting hull protection from all types of fouling and protects in the most severe fouling areas which translates to superior hull protection for multiple boating seasons. Its self-polishing attribute wears away at a controlled rate keeping hull surfaces smooth and clean and constantly exposing a high concentration of cuprous oxide biocide to hold barnacles at bay. Cukote is ideal for all types of vessels including sailboats, motor yachts, high-speed transports, supply vessels and ferries, plus its harder ablative formulation can be burnished to the perfect racing finish and is a versatile protective coating that can be taken in and out of the water without affecting its antifouling properties. Like all Sea Hawk paints, it is hand crafted in small production batches from premium quality raw materials and is 100% quality inspected to assure uniform performance and color consistency from batch-to-batch. A trendsetter of marine bottom paints, New Nautical Coatings, Inc. and the Sea Hawk brand was established in 1978 and is dedicated to bringing only the highest quality products and customer satisfaction to today’s mariner. New Nautical Coatings is family owned and operated with a commitment to excellence. It provides a wide array of application specific marine coating products that include antifouling systems, primers, solvents, and resins. Now offering innovative products globally, the Sea Hawk brand has enjoyed unprecedented growth and continues to grow as its products become more in demand worldwide. For more information, contact Michael O'Keene at MichaelOKeene@SeaHawkPaints.com and (727) 523-8053 or visit http://www.seahawkpaints.com.